(Trent Nelson | The Salt Lake Tribune) Homes at Traverse Ridge near a mining operation, Friday Nov. 23, 2018. 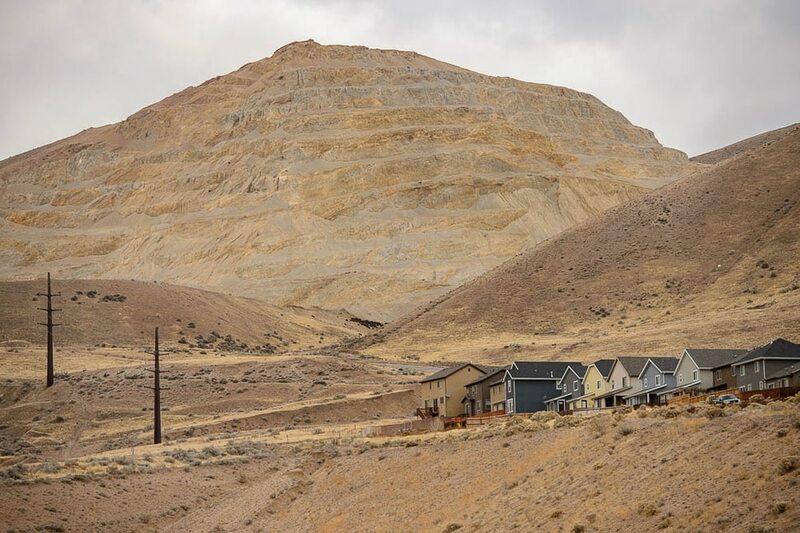 The city of Lehi has sent a letter of assurance to residents saying there are no health risks from the gravel mining and construction on Point of the Mountain. They site a health department study showing the operation is not causing health-damaging air pollution. The health department tells a different story -- and they can't say there are no health risks from the mining. (Trent Nelson | The Salt Lake Tribune) Homes at Traverse Ridge near a mining operation, Friday Nov. 23, 2018. The city of Lehi has sent a letter of assurance to residents saying there are no health risks from the gravel mining and construction on Point of the Mountain. They site a health department study showing the operation is not causing health-damaging air pollution. The health department tells a different story -- and they can't say there are no health risks from the mining. 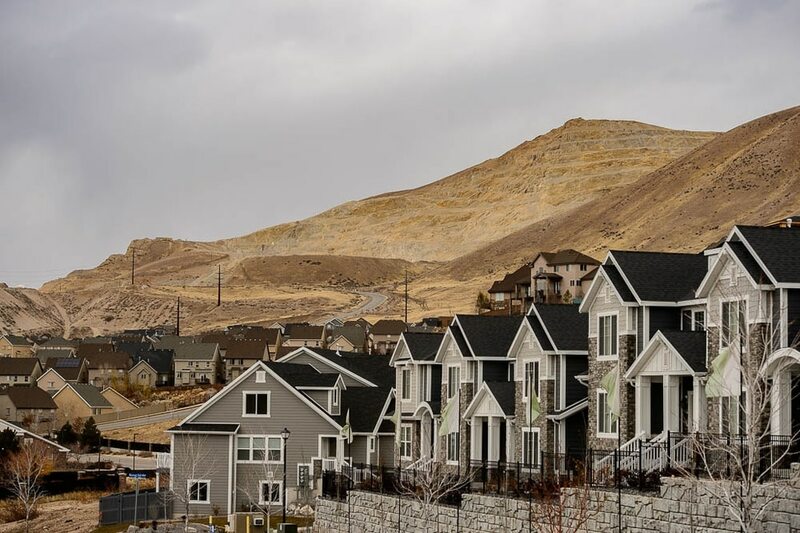 (Trent Nelson | The Salt Lake Tribune) Homes at Traverse Ridge near a mining operation, Friday Nov. 23, 2018. 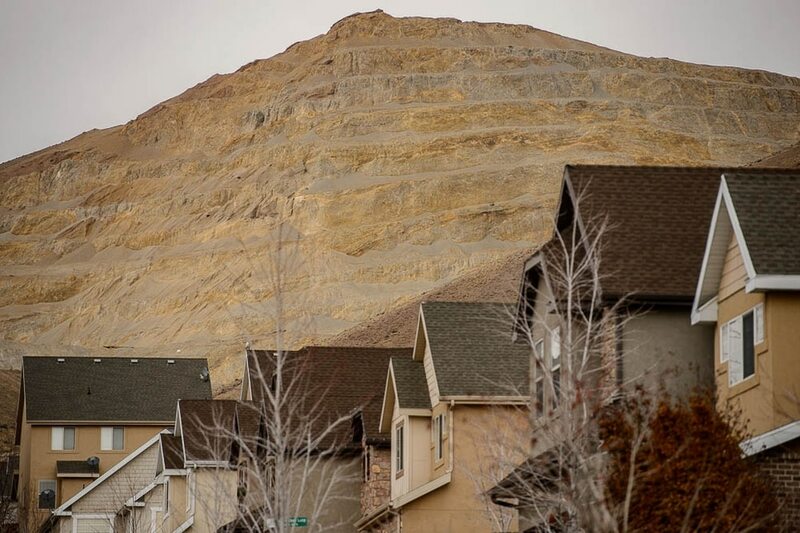 The city of Lehi has sent a letter of assurance to residents saying there are no health risks from the gravel mining and construction on Point of the Mountain. They site a health department study showing the operation is not causing health-damaging air pollution. The health department tells a different story -- and they can't say there are no health risks from the mining. (Trent Nelson | The Salt Lake Tribune) Homes at Traverse Ridge near a mining operation, Friday Nov. 23, 2018. The city of Lehi has sent a letter of assurance to residents saying there are no health risks from the gravel mining and construction on Point of the Mountain. They site a health department study showing the operation is not causing health-damaging air pollution. The health department tells a different story -- and they can't say there are no health risks from the mining. (Trent Nelson | The Salt Lake Tribune) Homes at Traverse Ridge near a mining operation, Friday Nov. 23, 2018. The city of Lehi has sent a letter of assurance to residents saying there are no health risks from the gravel mining and construction on Point of the Mountain. They site a health department study showing the operation is not causing health-damaging air pollution. The health department tells a different story -- and they can't say there are no health risks from the mining. (Trent Nelson | The Salt Lake Tribune) Homes at Traverse Ridge near a mining operation, Friday Nov. 23, 2018. The city of Lehi has sent a letter of assurance to residents saying there are no health risks from the gravel mining and construction on Point of the Mountain. They site a health department study showing the operation is not causing health-damaging air pollution. The health department tells a different story -- and they can't say there are no health risks from the mining. (Trent Nelson | The Salt Lake Tribune) Homes at Traverse Ridge near a mining operation, Friday Nov. 23, 2018. The city of Lehi has sent a letter of assurance to residents saying there are no health risks from the gravel mining and construction on Point of the Mountain. They site a health department study showing the operation is not causing health-damaging air pollution. The health department tells a different story -- and they can't say there are no health risks from the mining. A letter Lehi sent to residents in October aimed at calming concerns over air-quality issues related to dust from mass grading at Point of the Mountain has some residents crying foul and the state Health Department calling for further investigation. “It is filled with false information and was nothing more than a political hit by the city against its own residents," said Elias Faraclas, a vocal critic of the Point of the Mountain mining operations. Mayor Mark Johnson and City Council members sent the letter assuring residents that dust particles being kicked into the air have not been shown to have a significant health effect and thus are not a reason for concern. However, elected leaders said that an environmental committee will be formed to monitor air quality. LeFevre’s statement to the City Council from an Aug. 28 briefing focused specifically on construction dust, which is primarily composed of PM10 and amorphous silica particles that are generally too large to be inhaled and absorbed into the bloodstream. It did not address mining operations, which often generate dust containing a high percentage of crystalline silica, which has been linked to health risks. LeFevre confirmed in a recent Salt Lake Tribune interview that there haven’t been site-specific studies at Point of the Mountain and said those should be undertaken. “Since the Lehi City Council meeting, we have become aware of the Traverse Mountain residents' concerns and are in the process of looking more closely at what can be stated specific to Geneva Rock,” LeFevre added. “At this time, we are not in a position to make any specific conclusions about [mining] operations. This type of particle has been heavily discussed as a health risk around gravel pit mines in a debate which captivated Draper residents, and ended with the City Council there voting to ban future mining expansion. “The Lehi City Council briefing addressed ‘construction dust’ with a description of the health effects associated with crystalline silica and amorphous silica,” LeFevre clarified. “Our briefing did not address any specific site, including Geneva Rock." He said the briefing was based on an assessment of literature on the topic, including past investigations of other gravel-pit operations that have not been determined to pose a public health risk. MacFarlane said, “There are [no] monitors of air pollution in Lehi. No soil sampling has been done, and they don’t have a way to keep track of how much dust may be condensed in the homes of those living close to the mines." Studies of gravel pits and mining exist that say more than half the dust generated contains smaller, hazardous particles, he said. MacFarlane is a member of Utah Physicians for a Healthy Environment, an activist group of individuals from Utah’s medical community who are concerned about air quality and other environmental issues. Lehi resident Jesse Mlaker accused the city of acting in bad faith.